Celeste Paiva, Donnie Pierpoint, Charlotte Elton, Cora Herrera, Dan Hinckley and Bill Adsett visited the western coast of the Azuero Peninsula from June 20 to June 22. We stayed at Las Heliconias B&B(tanagertourism@gmail.com - highly recommended) just beyond Mariato and its co-owner Kees, a good birder, acted as our guide throughout. 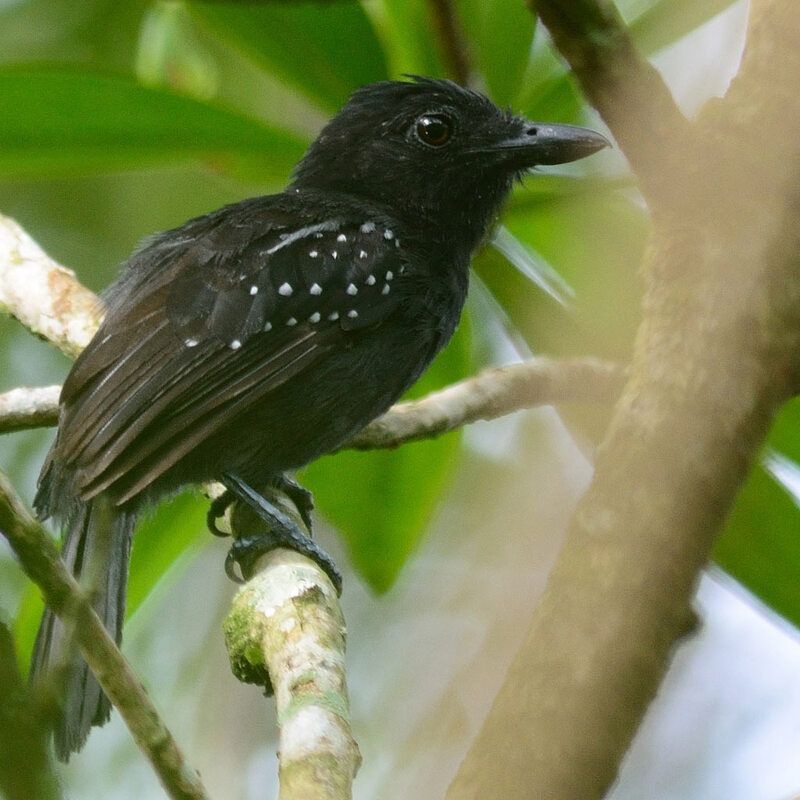 Las Heliconias has several hectares of regenerating and replanted forest where Pale-eyed Pygmy-Tyrant and Yellow Tyrannulet are common. Hummingbird feeders are attended by Scaly-breasted, Sapphire-throated and Garden Emeralds among others. On June 21 we went to Juan's farm in Flores (on the edge of the Cerro Hoya National Park) to see the main target of the trip, the endemic Azuero Parakeet. 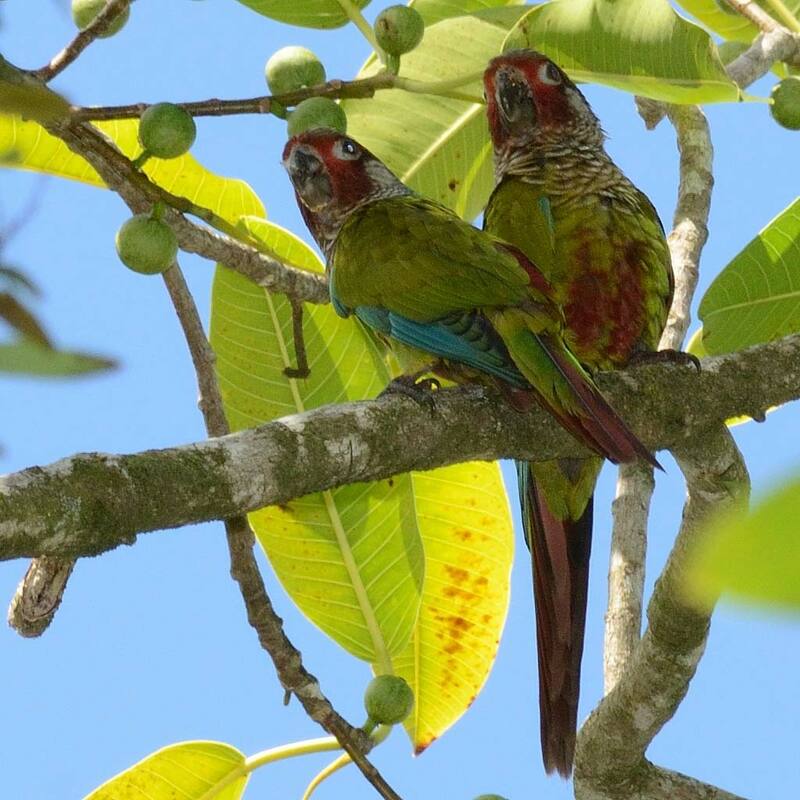 A flock of 15-20 birds showed up as scheduled at 9.00 am and several stayed around for hours feeding on a "higuerón" (fig) tree where they could be approached closely and photographed. They should be in the area for two more weeks, after which they will "disappear" back up the mountain. Other birds of note at Flores were King Vulture, Ferruginous Pygmy Owl, Orange-collared Manakin, Black-hooded Antshrike and Bare-throated Tiger-Heron. The Great Green Macaws seen the previous week by the Boquete Birders group did not put in an appearance for us. During our return trip we stopped at a small lake with large trees near Quebro that was crammed with nesting egrets, White Ibis and Boat-billed Herons. Of special note was an active Little Blue Heron nest (found by Celeste)—this species is a rare breeder in Panama. 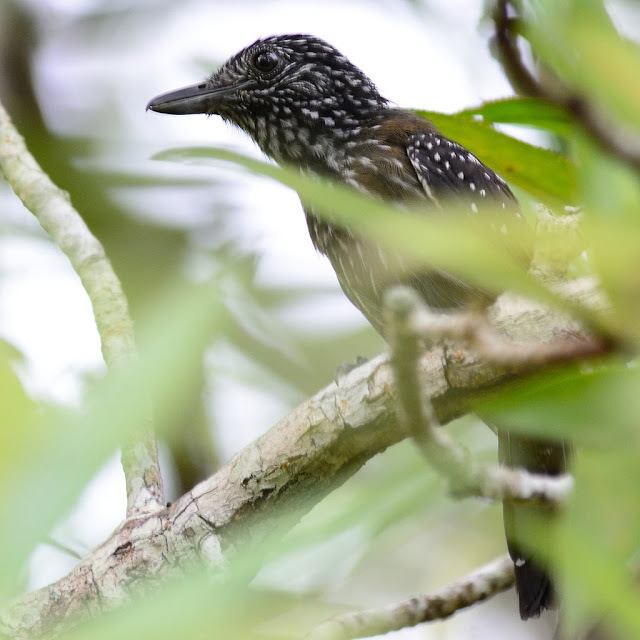 On June 22 in the morning we visited mangroves at Morrillo where Pale-eyed Pygmy-Tyrant and Black-hooded Antshrike were again seen. 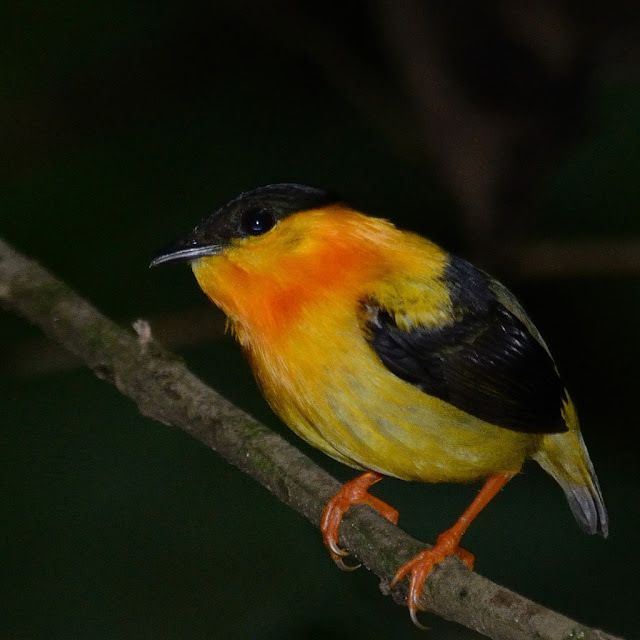 Kees and Loes also arrange fully inclusive multi-day birding trips to Coiba for 6 to 8 people, and turtle watching trips to nearby Malena beach, where the community protects the turtles.